The Ferrari Berlinetta Boxer was designed by Leonardo Fioravanti at Pininfarina and a total of 2323 cars were produced between 1973-1984. 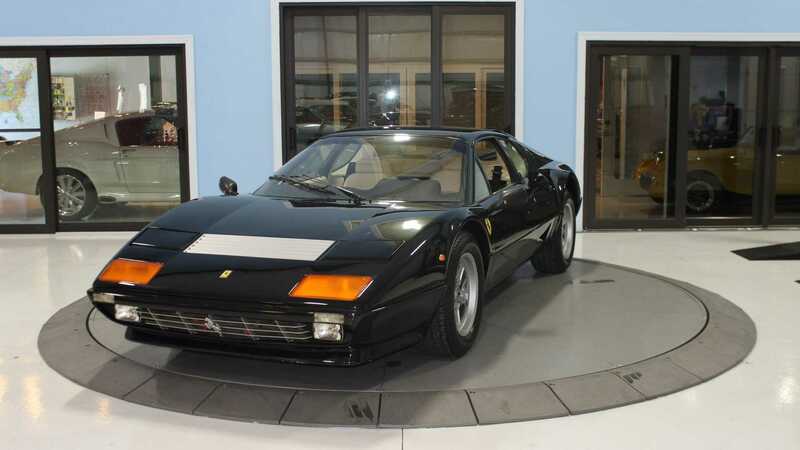 This particular 1983 Ferrari BB512 currently for sale at Skyway Classics in Palmetto, Florida is an incredibly rare automobile. Ferrari never sold the BB512 in the United States, and this one was imported from Europe. The listing states that this Ferrari is a two owner car, but it has been maintained well over the years. A 5.0-liter flat-12 produces 365-horsepower at 6200 rpm and 333 pound-feet of torque at 4600 rpm. With this engine, the Ferrari BB512 can sprint to 60 miles per hour from a standstill in 5.4 seconds and reach a top speed of 179 mph. Ferrari introduced the Berlinetta Boxer 512 in 1973 to replace the front-engined Daytona. The BB512 was also the first mid-engined road car to use a flat-12 engine. The Cavallino Rampante (prancing horse) logo also debuted on this car. During its eleven-year production run, the Ferrari BB512 was only available as a two-door Berlinetta and the flat-12 engine was paired to a standard five-speed manual transmission. 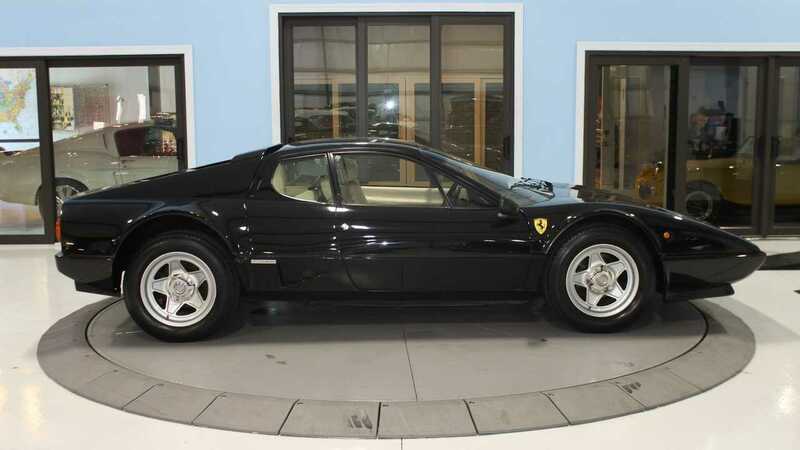 At first glance, it might look like this Ferrari BB512 is painted black, but the vehicle is actually painted in Midnight Blue, a very rare color option. The body panels are all properly aligned with even panel gaps. The condition of the paint is good and you will have a hard time finding any imperfections or blemishes on it. Inside, this BB512 features a pair of bucket seats covered in tan leather upholstery and appears to be in good shape with very few blemishes. The dashboard and the door panels have also aged well over the years.